For the third quarter 2016, General Motors reported earnings consisting of a net income of $2.8 billion, earnings per share (EPS) diluted of $1.76, and earnings before interest and tax adjusted (EBIT-adjusted) of $3.5 billion on net revenue of $42.8 billion. During that time frame, the automaker’s Europe division (GME) contributed a negative $100 million EBIT-adjusted (a $100 million loss). Here’s a closer look at GME’s performance during the quarter. Though GM Europe’s negative $100 million EBIT-adjusted was an improvement of $100 million over the third quarter of 2015, it did represent a $200 million downward swing over the $100 million profit posted in Q2 2016. Wholesale volume and market share are down on a year-over-year basis as part of the impact of GM’s exit from the Russian market. GM Europe has made substantial progress towards its plan to break-even by taking advantage of a recovering industry, cost optimization and the benefits of the Astra and Corsa launches, resulting in breakeven EBIT-adjusted in the first three quarters of 2016. Presenting newfound challenges to those plans, however, is Brexit — the U.K.’s June referendum to leave the European Union. Despite the referendum, GM Europe was on track to break-even for the year, as evidenced by our performance through the first nine months. The result of the referendum has adversely impacted the British Pound and the uncertainty has put strain on the U.K. automotive industry. GM believes that if current post-referendum market conditions are sustained through the remainder of 2016, there could be an impact of up to $0.4 billion ($400 million) to the second half of 2016, of which approximately $0.1 billion ($100 million) was reflected in GM’s third quarter results. So looking at the business’ performance as a whole, compared with Q3.15… unit sales down, revenue down and market share down, despite the new Astra and revised Corsa models now fully on stream in all key markets. All-in-all, it’s a pretty dismal performance, especially with the Insignia and the Meriva about to go off-line ahead of the launch of next year’s new Insignia models and the Crossland X model. Brexit certainly makes a headline grabbing read, but the reality is it simply serves to mask poor product and corporate planning within Opel Group. Firstly, the UK market has continued to grow post the Brexit referendum. Secondly, other manufacturers – most notably Nissan and to a lesser degree Jaguar Land Rover – have announced continued investment to expand their UK operations, despite (or perhaps because of?) the EU referendum. Thirdly, for many of those models manufactured and exported from the UK, costs have actually gone down and margins have increased. Indeed, Opel Group’s response to Brexit was to increase prices in the UK, as if this is somehow going to stimulate sales and demand. 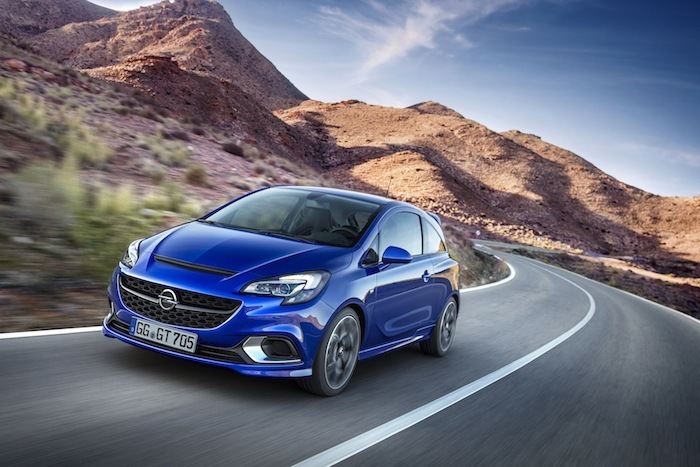 The increased importance of UK sales, which represented 1-in-5 Opel Group sales in 2000 and in 2015 represented almost 1-in-3 Opel Group sales must certainly be a concern to Opel Group. But to blame Brexit misses the point. When you misalign production locations with sales locations as a sop to German trade union members working in high cost and inefficient production plants… what does anyone think’s going to ultimately happen? The reality is that even post Bochum, Opel Group almost certainly has 2 production locations too many. And awkwardly both those plants just happen to be in Opel’s home market of Germany. But there’s more to a pretty dismal performance than simply production locations and Opel Group running scared of German trade unions. There’s poor product planning – not least, the lack of a competitive large and mid-size SUV offering. There’s the Zafira faux-pas whereby somebody decides to replace an MPV in one class, with an MPV in the class above and then wonders why it doesn’t repeat the success of the original. There’s the completely bizarre situation whereby the European subsidiary of the world’s largest pick up truck manufacturer doesn’t offer a singe pick up truck in its European range. There’s brand positioning too… an obsession with seemingly promoting Opel as a VW alternative; there already is one VW and the world hardly needs another. There’s the bizarre and cringeworthy Claudia Schiffer ‘It’s a German’ campaign… even when the car pictured is often British, Polish, South Korean or Spanish. And beyond the bizarre, there’s the ridiculous… such as publishing calendars featuring cats and supermodels or in the guise of the Opel GT producing a fine looking car which just happens to lack any obvious business case. I mean you couldn’t even begin to make the half of this up. Somebody once remarked that if British Leyland was the answer then it must have been a bl**dy stupid question. The very same could be said about Opel Group. Let’s face it, if Opel Group was a dog, somebody would have shot it long ago. Can somebody in Detroit not take a look at the performance (or lack thereof) of Opel Group and take the actions necessary to restore the company to profitability? Billions has been spent on Opel, Chevrolet in the EU’s been culled to try and fix Opel, Vauxhall’s been lumped into Opel Group as a subsidiary to bolster it and even poor old Holden’s now losing indigenously developed product, in favour of imported Opel product. Fixing Opel Group’s problems isn’t exactly rocket science, yet bizarrely there doesn’t appear to be either the will or the way. Build where you sell, GM have a flex plant in the U.K, quite capable of the simultaneous construction of models built on different drive trains. The U.K has a strengthening supplier base, so the answer must be to build more in the U.K and increase local content. Maybe G.M should make the U.K the home for its future European EV product, circumventing any overlap in capital investment. Thank-you both Just John and Glen Richards for telling it as it is and as it could/should be! Wake-up Detroit and Russelsheim! You continue to blindly alienate and insult 33% of your European customers and there are so many examples: no RHD versions of Bolt and Volt; the UK is always the last market in Europe to get any new models or upgrades – latest Astra is a case in point where it finally became freely available six months after going on sale in Germany, and to add insult Ellesmere Port in the UK is the lead Astra production facility! ; then there’s Antara that should have been replaced 4 years ago. ANOTHER EXAMPLE: In the 1950’s, 60’s and 70’s Bedford trucks and vans (built in Dunstable and Luton in the UK) were the most exported commercial vehicles across the globe. How is it then that by 1984 one of the world’s biggest truck manufacturers ceased to exist? Answer: lack of new model investment and milking the cash-cow that was Bedford, by successive blind and greedy Detroit administrations. Between 1960 and 1980 only two new models lines were introduced, these being the CF van and the TM heavy-duty truck. GM gave us an outstanding lesson in alchemy nevertheless … how to turn liquid gold into stagnant sewage! GM have a tailor made replacement for the Antara, it’s called the Buick Envision, not only does it use all the Opel/Vauxhall styling cues, but it is based on the D2 platform( same/similar to Astra). This should have been a shoe-in for Europe and built at either Ellesmere Port or Gliwice, instead we enter a co-development deal with Peugeot that sees the creation of a half breed chimera CUV to be produced by Peugeot in France ( cue the Grandland X) ??? GM needs to use Brexit as a tool to bolster profitability in Europe – by building more product in Britain. There are some signs that for the first time in more than two decades, Britain may have a government that doesn’t see manufacturing as a sin against all that is good and true. Take advantage of that, and a currency at long last finding its true level of worth against others, and build on the success created by the workers and management at Ellesmere Port and Luton. There’s profit in them British hills! There is also a simple matter of loyalty – 1 in 3 Opel/Vauxhall products sold in Britain would suggest that at least 1 in 3 should perhaps be made in the country. Then Vauxhall could play the ‘I’m Backing Britain’ card which arch rival Ford may find difficult to do. GM has made some monumental errors in Europe. SAAB for example. And when I was central Russia this summer, I was surprised just how many little Chevys there were on the roads. Producing a cross-over on a French platform does not strike me as being a good idea. Peugeot has long lost its reputation for decent engineering – rightly so with vehicles that do not ride or drive very well and come very low in surveys such as JD Power etc. GM needs to get confident and design its own product, tailored to its major markets. Brexit Britain is not the answer. The currency collapse means exporting every Astra ade is costing a fortune and a hard Brexit will see 10% tariffs either paid for by the government or by GM. Ellsmere Port days are numbered and I think will close unless the government sees sense and cancels this whole Brexit sham. If GM face huge tariffs exporting cars to the U.K, then it loses the ability to generate any profit on 30% of its European sales or suffers a rather dramatic crash in its sales volume. In other words, if G.M don’t move to protect its U.K market share (profitably), then Vauxhall Opel will cease to exist. Those Germans are looking awfully expensive! James, with respect, I don’t think the current value of Sterling can in anyway be seen as a collapse. Few would argue that Sterling has been overvalued for some time. It’s current, more realistic value simply reflects where Sterling probably should have been for some time and also recognises that other currencies – most notably the Euro – have grown in strength as they allegedly put the worst excesses of the 2008/09 financial crash behind them. But even if it was a collapse – which it plainly isn’t – then I don’t that would be reason in itself to overturn the democratically expressed wish of the UK electorate. But post Brexit and you’re quite correct, Astras (and Vivaros) exported from the UK and sold into the EU, could be subject to a 10% tariff. However, given we import more cars from the EU, than we export to the EU… then HM Government could afford to rebate the export tariff in full to UK based manufacturers and still be quids in. Plus of course, UK manufactured cars sold in the UK wouldn’t be subject to the tariff which would make them more competitive in their home market, benefiting domestic manufacturers and disadvantaging EU manufacturers. Plus it’s also important to remember that a growing proportion of cars made here are exported to markets beyond the EU – so whatever we do or don’t do with the EU will not impact in the slightest upon the growing proportion of our manufacturing exports. Plus let’s not forget that Sterling’s new found competitiveness will further enhance the competitiveness of UK manufactured exports too and disadvantage imports. However, let’s hope it doesn’t to come to tariffs. Personally, I believe choice together with free and fair competition is a good thing. But if it does, then expect UK manufacturers to be advantaged by Brexit and EU manufacturers to be disadvantaged. I read just yesterday that 35% of Mercedes C Class sales occur in the UK. So whilst the imposition of tariffs would for instance be bad news for the boys in Bremen, the guys on the XE track in Castle Bromwich and other car assembly plants, might well be rubbing their hands with glee. But as far as Vauxhall and Opel Group is concerned, moving forward the trick for GM is to realign its production footprint with its sales and purchasing footprint and to take whatever action is required to restore The German Patient to health. i like what VAG group do and VW. Vw belongs today audi,mb-bmw territory. US people tont understand that because they dont see real vw cars. These vw cars what us market sell is allmost cheap crapp. We have an annual EU trade deficit of £70bn. Away from the EU, we have a trade surplus. We should perhaps build on that and start realising that the single market is a one way ticket for imports to the UK and not a lot going the other way. One would hope that if the EU imposes tariffs on British made cars, the British government responds with like measures. My biggest fear is that the EU slaps tariffs on British products but our government, still in thrall to ‘free’ rather than ‘fair’ trade, will not respond in kind.